Over the years young women have been going missing in North East England. No one saw or heard from them again. Without any leads the police have had little to go on. But when a body is discovered in the woods, the police are hopeful it will hold new clues leading them to whoever is responsible. 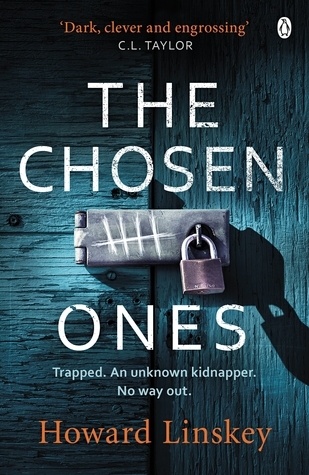 The Chosen Ones is the fourth book in a series featuring Detective Ian Bradshaw and investigative journalists Tom Carney and Helen Norton. The detective/journalist combo was hugely enjoyable and I felt it worked extremely well. They each brought something new to the table and it really was a refreshing change. All three were likeable characters with whom the reader could empathise and identify. Although I hadn't read the previous three books, I didn't feel I was missing any pieces. In fact had I not known, I wouldn't have guessed it was part of a series. Everything was explained clearly and succinctly. The writing was a pleasure to read and flowed exceptionally well. Yes, there were one or two typos, but they can be forgiven. The main characters had depth without unnecessary padding which, in my opinion, was a massive bonus. It was a thrilling fast-paced read. One which takes you on a dangerous journey into the subterranean lair of a madman. It was excellent and a series I hope to revisit soon. My thanks to Howard Linskey, NetGalley and Penguin UK for providing a copy of this book. Eva Dunbar wakes in a large metal box. She has no idea who has taken her. She has no way out . . .
Eva isn't the first young woman to disappear. Detective Ian Bradshaw, leading the search, has no leads - and precious little time. 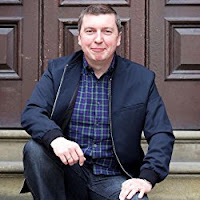 Prior to becoming a full-time author, I led a number of different lives featuring a wide variety of jobs, including barman, journalist, catering manager and marketing manager for a celebrity chef, as well as in a variety of sales and account management roles. I can confirm that writing books definitely beats working for a living. I started writing many moons ago and was first published in the Newcastle United football fanzine, 'The Mag'. I then became a journalist and wrote for regional newspapers. I have also written for magazines and web sites and was once the English Premier League football correspondent for a Malaysian magazine. I've stopped all of that nonsense now, preferring to make up stuff instead and call myself an author. I'm originally from Ferryhill in County Durham but, like most of the people I grew up with, I left the north east in search of work and never quite made it back. I am now settled in Hertfordshire with my lovely wife Alison and wonderful daughter Erin. I'm still a long-suffering Newcastle United fan and can only assume that Mike Ashley is a punishment inflicted upon us for all of the crimes we committed in our past lives.